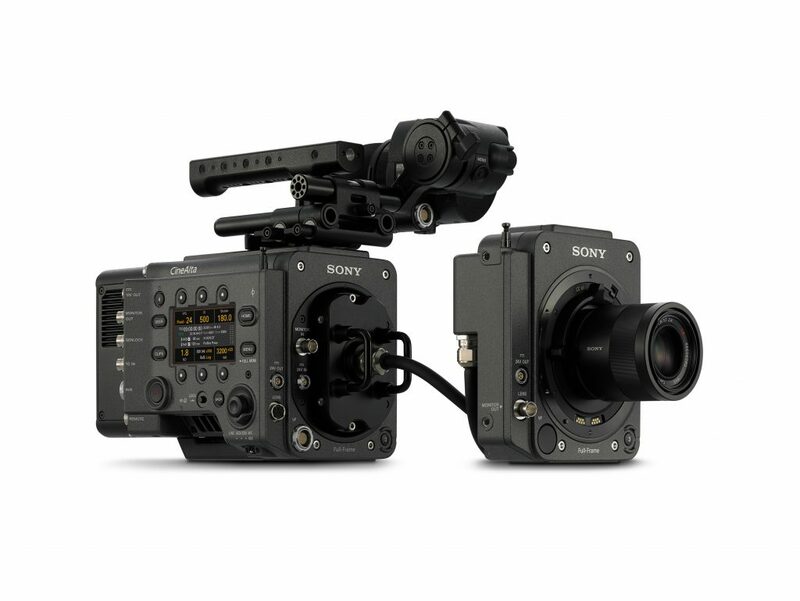 Sony’s VENICE motion picture camera, which has been embraced by the production community, will enhance its usability and flexibility with the VENICE Extension System and Version 3.0 firmware updates in February 2019. The lightweight (4 pounds with PL mount and 3 pounds with E-mount), easy to use tethered extension system allows the camera body to detach from the image sensor block with no degradation in image quality, from 9 or 18 feet apart, offering a highly configurable and portable method of operation. The new Extension System is compatible with existing and new VENICE cameras. A user can quickly configure and freely use only VENICE’s image sensor block to capture uncompromising imagery on site, customizing the camera for specific scenarios. As shooting environments and capabilities become more advanced and demanding, VENICE users can expect the same image quality and integrity when using the robust Extension System, which enables VENICE to become highly mobile and discreet for many mounting setups and filming scenarios including use with gimbals, handheld stabilizers, underwater and helicopter housings, and 3D/VR rigs, as well as in tight and unconventional spaces, such as in vehicles, on cranes or Russian arms. After detailed discussions and further collaboration with James Cameron’s Lightstorm Entertainment, a prototype of the VENICE Extension System was engineered to meet their rigorous needs as they begin shooting the AVATAR sequels. 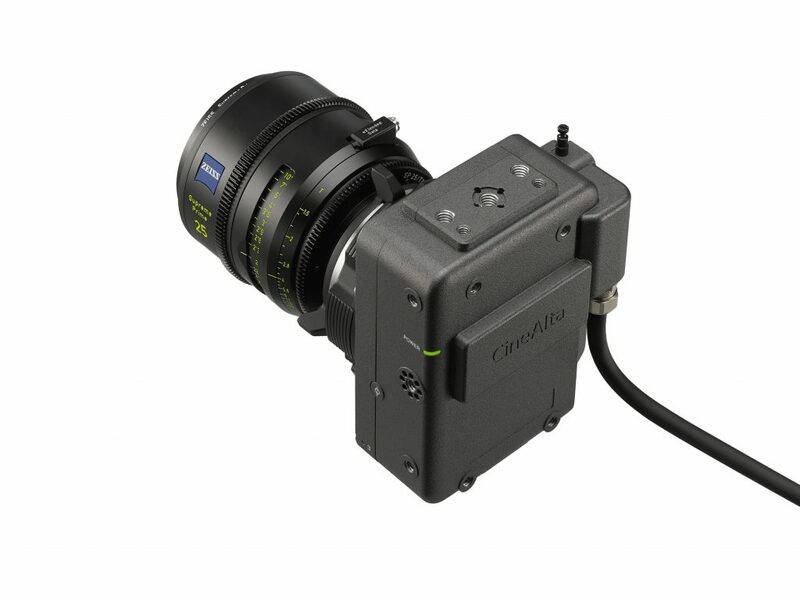 Since this hardware was first demonstrated at Cine Gear 2018, additional refinements have been made in response to industry requests. Several productions have already sought out the ergonomics, small footprint and agile form factor the Extension System offers, while taking advantage of VENICE’s built-in features including built-in 8-step mechanical ND filter system and Dual Base ISO (ISO500/2500). The VENICE Extension System (CBK-3610XS), which consists of a front panel cover, image sensor block case with a 9-foot cable and a 9-foot extension cable, is compatible with existing VENICE cameras with Version 3.0 firmware installed. The addition of the Extension System adds an HD-SDI output, a 12V or 24V output for powering accessories such as lens servo motors and monitoring. CBK-3610XS also comes with multiple screw holes on all surfaces to enable various rigs and accessories attachment. It is planned to be available in February 2019 at Sony authorized VENICE resellers. For more information, please visit pro.sony/VENICE. Also available in February 2019 will be the free VENICE Version 3.0 firmware upgrade, which further augments VENICE’s capabilities, incorporating feedback from filmmakers and protecting customers’ investment by allowing the camera to grow with the user. Version 3.0 firmware will add a recording profile within the X-OCN (eXtended tonal range Original Camera Negative). This new profile, called X-OCN XT, captures the highest quality imagery with AXS-R7 portable memory recorder. For demanding visual effects work and productions requiring the utmost, uncompromising image quality from VENICE, the new X-OCN XT profile maintains exceptionally economical file sizes comparable to Sony F55RAW file size, making the workflow affordable and efficient. Wireless Remote Control with CBK-WA02 for wirelessly controlling and changing key functions and menu settings for increased flexibility. The latest roadmap of VENICE firmware update is available here.